Super chic LBD! 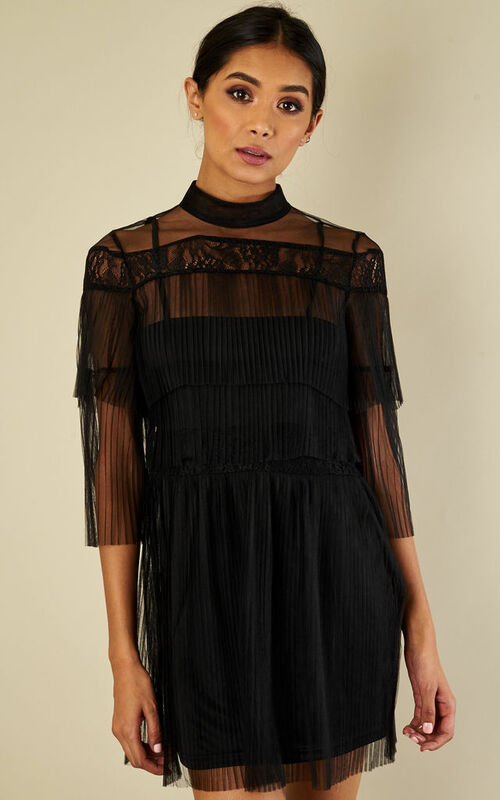 This mesh dress with ruffle detail is the perfect dress for a night on the town. Team with your favourite heels and off you go!